Local catering social enterprise Incredible Edibles has received a generous donation from the Rotary Club of Gladstone Midday. 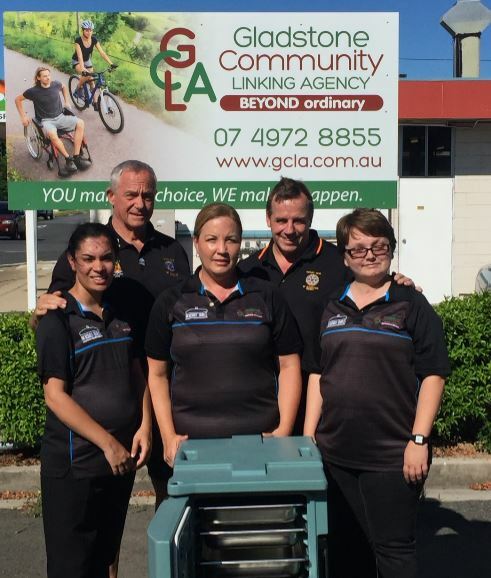 “The Rotary Midday were really interested in supporting a local organisation that are creating employment opportunities for local residents” says Laurie Ellis, Innovation and Business Development Manager for Gladstone Community Linking Agency, the parent body for Incredible Edibles. “The Rotary Midday asked us what they could do to help so after long discussions, we asked them to fund an electronic Hot Box”. Incredible Edibles offer catering solutions for events from small parties up to large and prestigious corporate events, “highlights from last year included being asked to cater for QAL’s 50th Birthday Celebration, working with Rio Tinto and the council as well as the small intimate functions for our Gladstone community” said Colette Giha Carella, supervisor and driving force behind the social enterprise. “The hotbox keeps the food we deliver at the right temperature and in pristine condition, so we can ensure that we give our customers a premium service every time”. 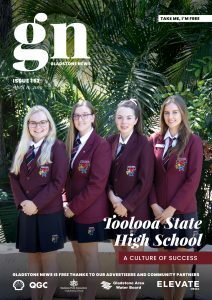 “The Rotary Club of Gladstone Midday were delighted to support such a great project and we look forward to seeing them build from strength to strength. Through our fundraising efforts such as the Kmart Charity Markets and our annual Motor Traders Golf Day we are committed to supporting local events and organisations. There is nothing better than seeing funds raised locally, spent locally for the benefit of the community and those in it.” stated Greg Hill, Treasurer Gladstone Midday Rotary.